Born in Trieste, Fiore's father was descended from Spanish nobles at the Habsburg court in Vienna and her mother from a typically Triestine mix of Hungarian, Balkan and Italian forbears. Her older brother Diego founded the present War Museum in the city. After a few months at university in Venice, Fiore decided to study sculpture. She spent the war years at Cortina in the Dolomites, working in wood and clay and also assisting the Italian partisans; at one stage she was arrested and questioned by the occupying Nazi forces. 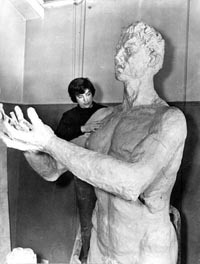 After Liberation, she went to Florence, studying with sculptor Antonio Berti and gaining signal success with exhibitions in 1947-8. in 1947 she went south, to Positano on the Amalfi coast, from where she won a competition for a public statue in the city of Salerno. In 1949 she visited Britain and was quickly welcomed into the art world. In London Fiore had immediate success with portrait busts at the RA, a commission for a giant figure group for the Festival of Britain, and a masterly head of the painter Augustus John. In demand as a portraitist, her sitters and clients included Peter Ustinov, Margot Fonteyn, Amaryllis Fleming, Laurence Oliver, Odette Churchill, Igor Stravinsky, Sybil Thorndike, Lord Astor and the millionare Huntington Hartford, who invited F to the US. In 1957 she obtained british citizenship. In NY she met sculptor Jacques Lipchitz, whom she introduced to the foundries of Versilia, near the great Carrara quarries, and whose influence is visible in the freer forms of her own sculpture. When President Kennedy was assassinated in 1963, F was working on a monumental portrait head, completed with the help of film clips. 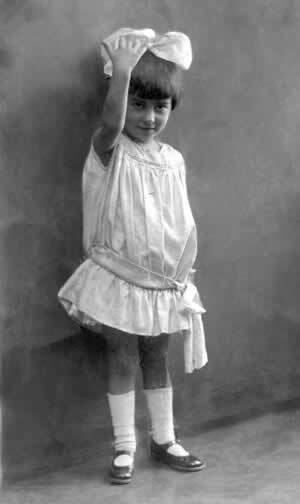 In this period most of her work was recorded by the photographer Felix Fonteyn. As well as continuing work in Far East, during 1980s Fiore worked for clients in Chicago and the Mid-West, casting her pieces in California. 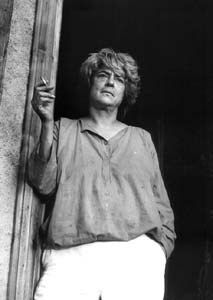 In 1983 she had a solo show in Florence, with an accompanying book photographed by Gabriele Morrione. In 1985 she built a tower in Peralta, to symbolise its resurrection. Her eminent sitters in this period include Sagawa and Noguchi in Japan, Mayor Washington in Chicago, and in London H M the Queen Mother, for HMS Ark Royal and the West Cumbria Hospital. In 1990 she visited and worked in Australia, and also sculpted a fountain for one of the UN agencies in Geneva (installed 1992). In 2001, F's 80th birthday was celebrated with a great festa at Peralta.